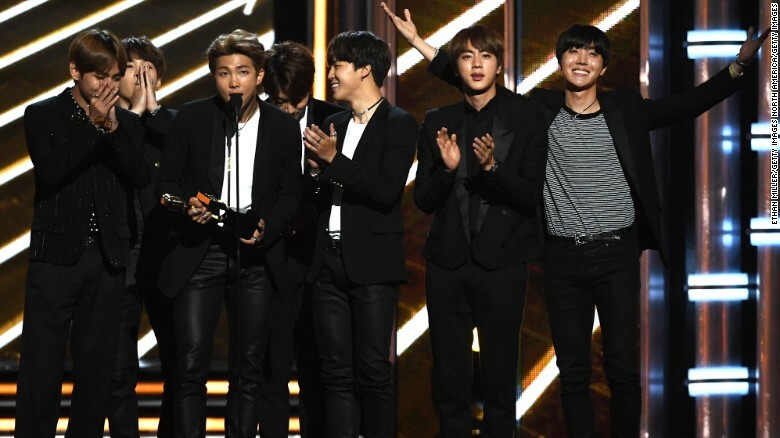 The name BTS may not be familiar to the majority of Americans, but that didn't stop the South Korean boy band from making history Sunday night, when they became the first K-pop group to clinch a Billboard Music Award. 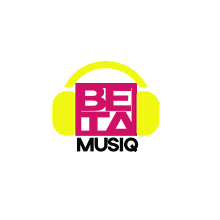 Beating out US favorites Justin Bieber, Selena Gomez, Ariana Grande and Shawn Mendes, BTS scooped the Top Social Artist award at a lavish ceremony in the T-Mobile Arena in downtown Las Vegas. "We still cannot believe that we're standing here on this stage at the Billboard Music Awards," said BTS member Kim Nam-joon, known to fans as "Rap Monster," onstage. "It is so great to see all the artists we admire, and we feel honored to be in this category with all these great artists right in front of us." 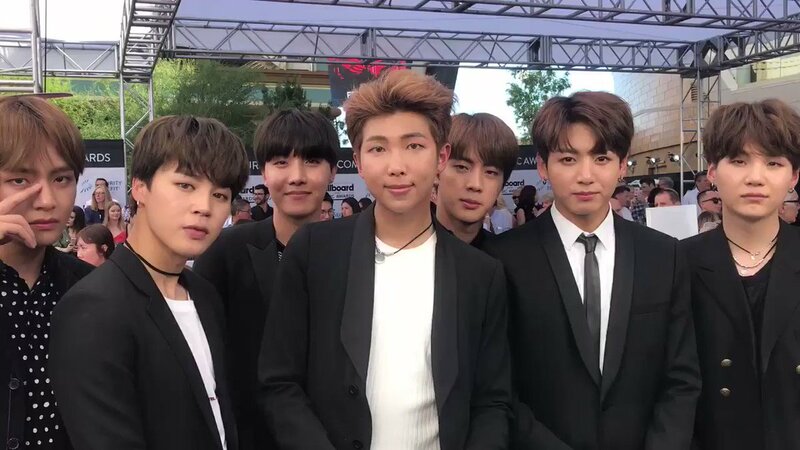 BTS's group award follows South Korean trailblazer PSY, who became the first K-pop solo artist to win at the Billboard Music Awards back in 2014, for Top Streaming Song, "Gangnam Style." BTS fans, known as the "Army," voted for the award on Twitter and on the awards website, using the hashtag #BTSBBMAS more than 300 million times. "BTS was one of the first groups to fully embrace social media and completely open themselves up to fans," said CEO of Koreaboo, Flowsion Shekar, a popular content platform specializing in K-pop with a reach of over 50 million. "International fans were able to really relate to them and feel like they truly knew the members individually. Most rookie groups are held tightly behind closed doors and everything is filtered or sanitized before it's shown to the public." The seven-member band debuted in 2013 with a contemporary K-pop sound that fuses hip-hop, electronica and rock. They currently top the Billboard Social 50, spending 31 weeks on the chart. They are now on a sold-out world tour, with US concerts this past March and April in Newark, Chicago and Anaheim. Their next stops are in Australia and Japan.